There is more to the Mi.To/Sinthesi therapeutic table than meets the eye. With its numerous moveable and independent segments, super-silent electric motors and hydraulic system, this table has become a true therapeutic table. It can be used for posture reeducation, myofascial release and stretching, and compliments a wide range of conventional treatment techniques. Chinesport has brought together the experience and knowledge of their expert therapists over many years. The result is a comprehensive Mi.To/Sinthesi treatment program that provides the therapist solutions in various therapeutic situations. Detailed treatment protocols using our advanced Mi.To/Sinthesi therapeutic table will help you gain more, better and faster results in your therapeutic work. Mi.To/Sinthesi protocols cover respiratory training, postural awareness training, spine awareness training, myofascial release and lengthening, muscle stretching, disc decompression, spine strengthening and stabilisation exercises and much more. Mi.To/Sinthesi therapeutic tables are even used in sports-specific regeneration processes. Our state-of-the-art Mi.To/Sinthesi therapeutic table is a integral part of Chinesport’s GPS Therapeutic Pathways for Rehabilitation concept, which offers therapists more options to efficiently and effectively treat posture-related conditions. 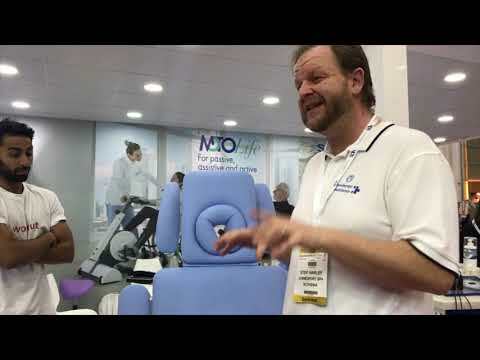 To experience power of the Mi.To/Sinthesi therapeutic table we invite you to visit us at Medica, visit one of the Mi.To/Sinthesi workshops near you or check out the preview of the Mi.To/Sinthesi handbook.